My plan for studying textiles became real in 2016, six years after graduating from Nicolas Copernicus University in Toruń with MA in History. 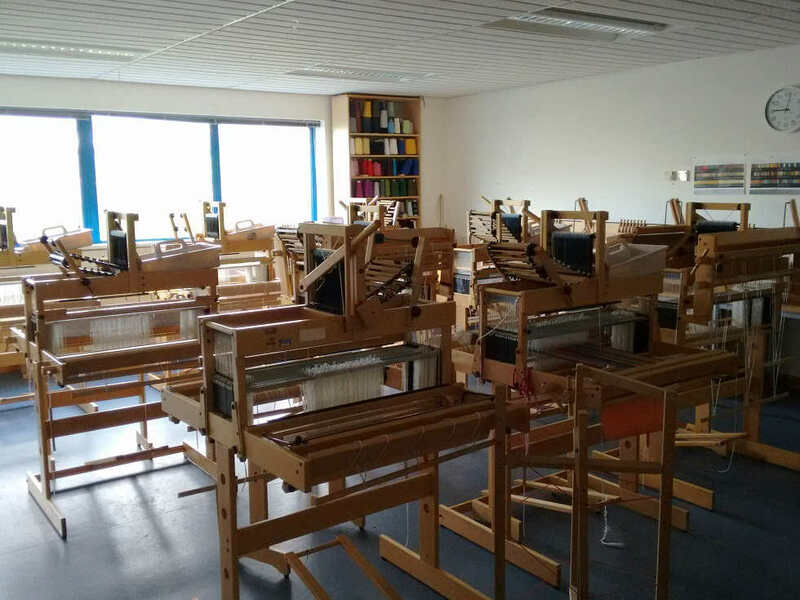 Since there is no higher education course in textiles for handweavers in Poland I decided to look for opportunities abroad and once I had found Contemporary Textiles course at Shetland College I knew it's going to be my final choice. I had been to Shetland twice before I moved here so had enough time to get familiar with this most northern part of Scotland. 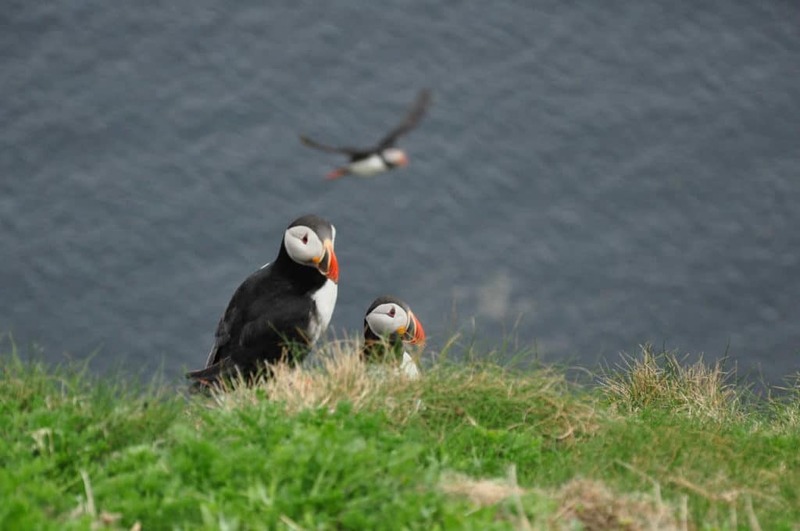 Shetland textile heritage, both knitting and weaving are endless sources of inspiration – and information as well! 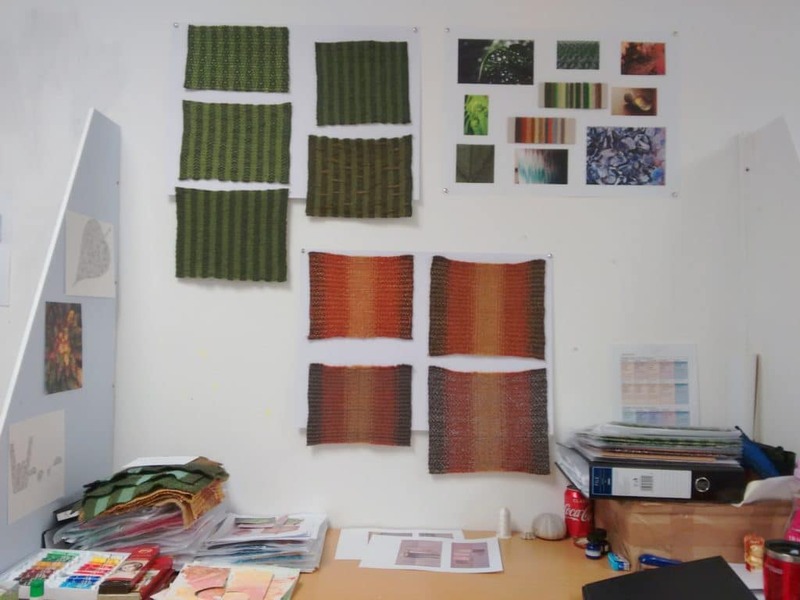 The college offers lots of possibilities for makers from near and far to develop their textile skills and to keep local craft alive and of very high standard. 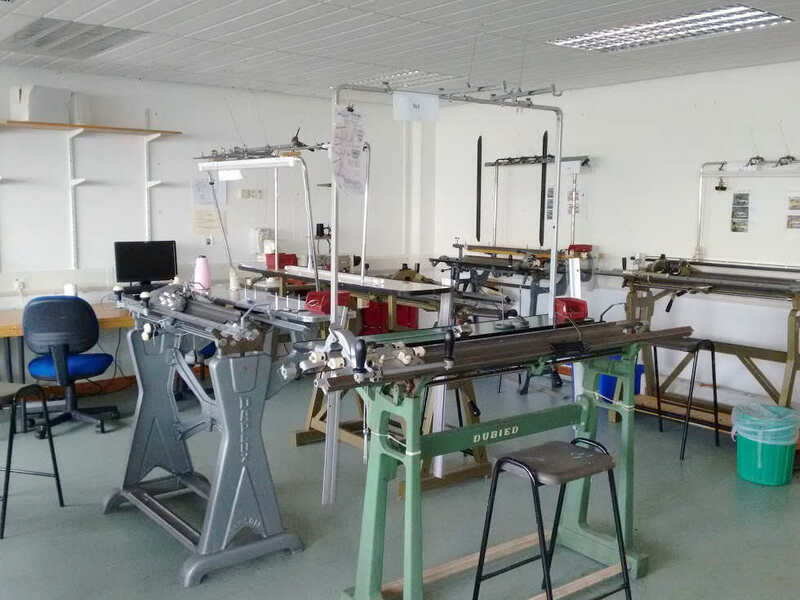 Two studio spaces available for textile students are equipped with modern knitting machines, looms and yarns of all kinds. What I liked best is the course’s form – a self-directed study based on modules. It’s all up to you how you’re going to spend your precious time :) There are quite many one-to-one tutorials – you have to show the tutor your development work and tell about your next steps which is very motivating. I enrolled as a full-time student so it’s been pretty busy and intensive course five days a week! Detailed information about the course can be found here. A little tour around our department. Knit and weave studios. My desk during the academic year. Weaver’s Chronicles blog is my virtual diary where I write about my textile practice since its beginning in 2011. 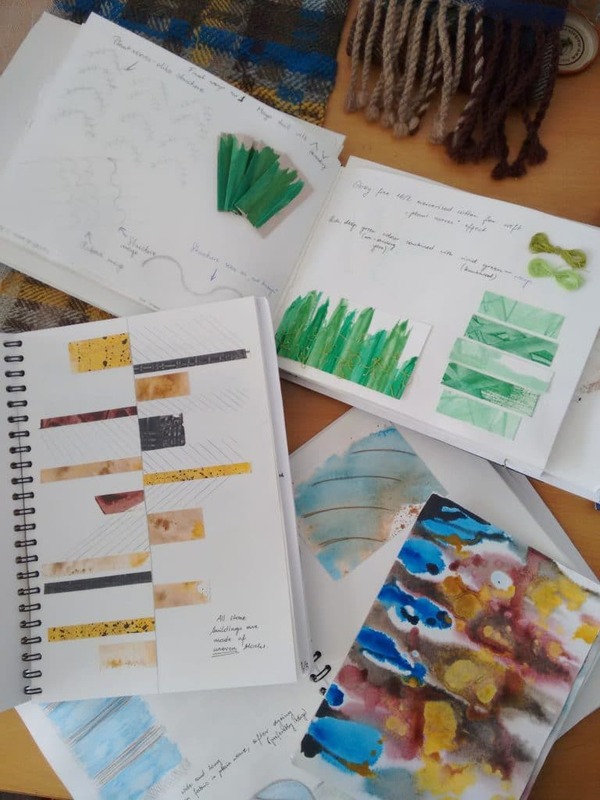 Filled with various textile projects, including handspinning, experiments with natural dyeing and weaving, the blog is enriched with impressions from museum exhibitions I’ve been to and textile journeys I’ve made around Europe.